Introduction: Blue Fox is best known for small lures that are highly effective for trout, but this season in addition to new spinner patterns the company is targeting Musky and anglers that pursue these freshwater sharks with a dedicated series of new buzzbaits. About Blue Fox: Blue Fox Tackle Co. is a wholly owned subsidiary of the Rapala/VMC Group. 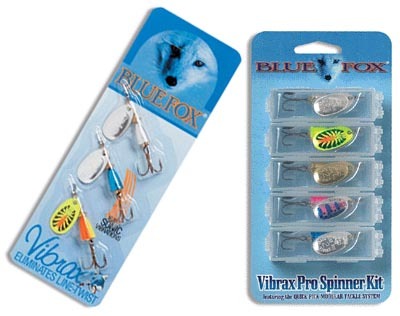 Originally founded in 1932, and renamed in 1978, Blue Fox is best known for such popular-selling lures as the Vibrax� Spinner, the Pixee� Spoon, the Foxee� Jig and Dr. Juice� fish scents. Classic Vibrax� Bleeding Pattern: A true performer gets an upgrade. The Classic Vibrax we all know now comes in a bleeding pattern with red hooks and spinners. Featuring a deep red spinner and red treble hook, the new bleeding patterns are designed to trigger aggressive strikes from fish. Available with five different body colors. The suggested retail price for the new Bleeding patterns is $2.49 - $3.99 each. Vibrax� Musky Buzz�: Hunting for that trophy musky or northern pike requires a lure that will deliver a solid performance every time. The new Vibrax Musky Buzz features recognizable elements from Vibrax's smaller lures. 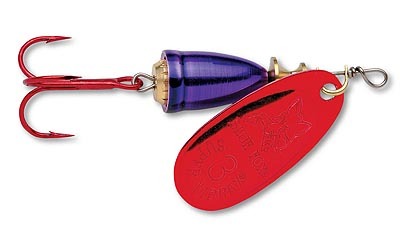 The blade hitting bell provides a specific pitch and vibration, while the main hook is dressed by real bucktail and is positioned to avoid fouling weeds and cover. The lure is specially balanced for easy casting and to drop into the water without a big fish spooking splash. Suggested retail price per copy is $9.99, and the Musky Buzz will be available in four colors. Vibrax� Double Musky Buzz�: Want even more commotion in the water? The Double Musky Buzz creates more bubbles and splashes with a twin blade design. 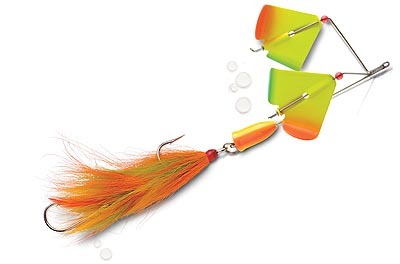 This topwater lure is designed to attract the largest Muskies. 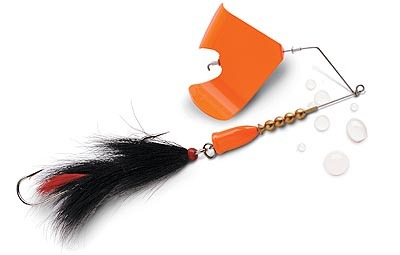 With an extremely sharp hook for quick penetration this lure is designed for serious hooksets. Whether you choose the single or double the price is identical at $9.99. Conclusion: If you are a Musky angler you know there is no prettier sight than a gaping freshwater shark taking out your topwater lure in brutal fashion. It only makes sense for Blue Fox, a company known best for spinners, to release oversized buzzbaits to target monster Musky or Northern Pike.